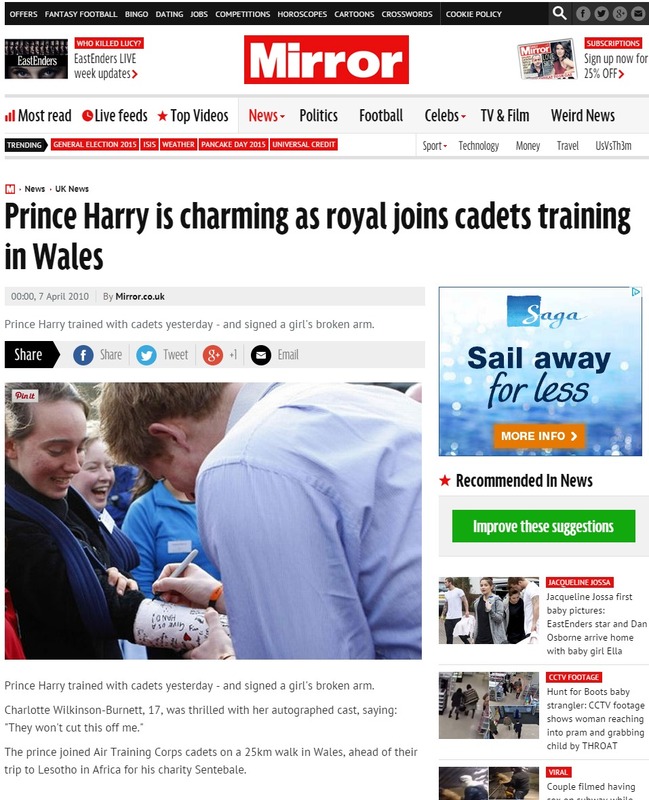 Palamedes PR was instructed by The Army Cadets to raise awareness of Prince Harry’s surprise visit to the Black Mountains in south Wales where he was set to meet a group of Cadets on a training exercise. A total of 60 cadets from across the UK took part in the hike, ahead of a three-week expedition to Lesotho, Africa, in August. 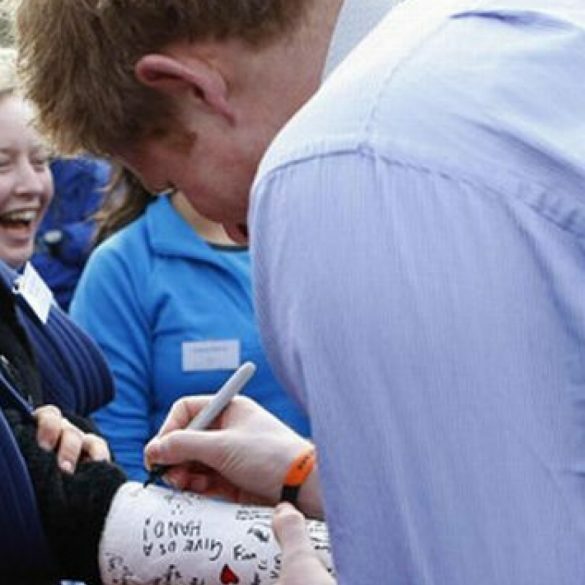 Prince Harry was the patron of the expedition. 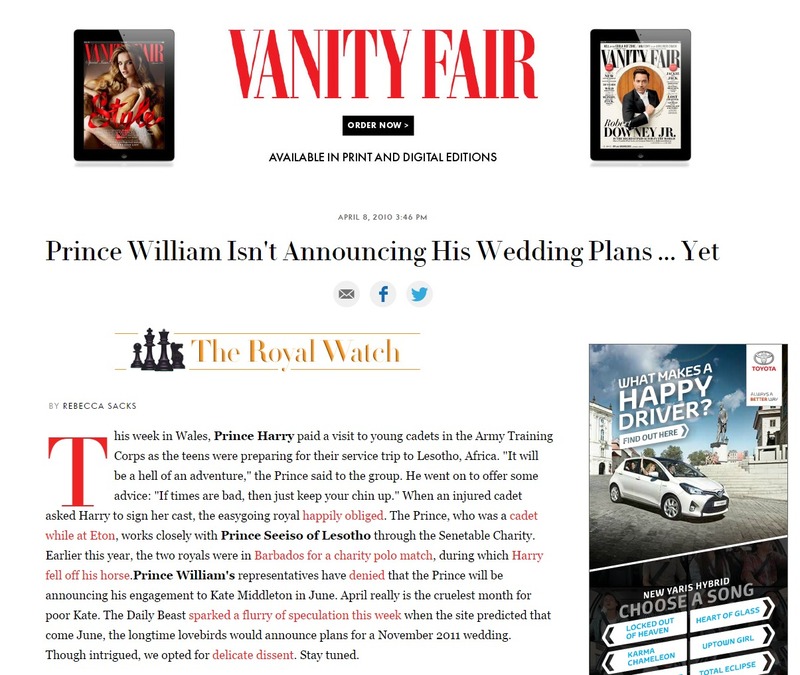 Working alongside our former sister PR agency, 72Point, we were tasked with news-generation and created compelling content ahead of the Prince’s visit in April, 2010. 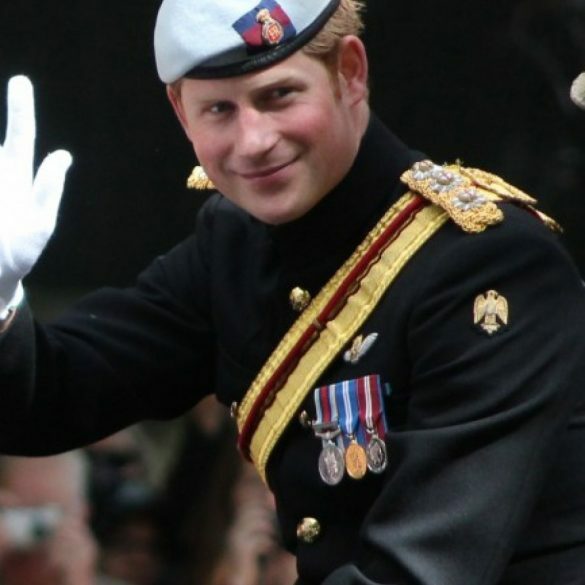 Prince Harry, who was in the Army branch of the cadets at Eton, said he was “truly honoured” to be patron of the expedition, and told the Cadets: “You will really enjoy it, it will be a hell of an adventure. Once you have met them your lives will be very, very different because you will have an understanding you never thought you would of the way people have to live out there.” He added that they would enjoy “a bit of hard labour, a bit of digging, a bit of baby cradling for the girls and maybe the boys.” On the return journey to base, the cadets were “left speechless” after Prince Harry’s unexpected arrival. 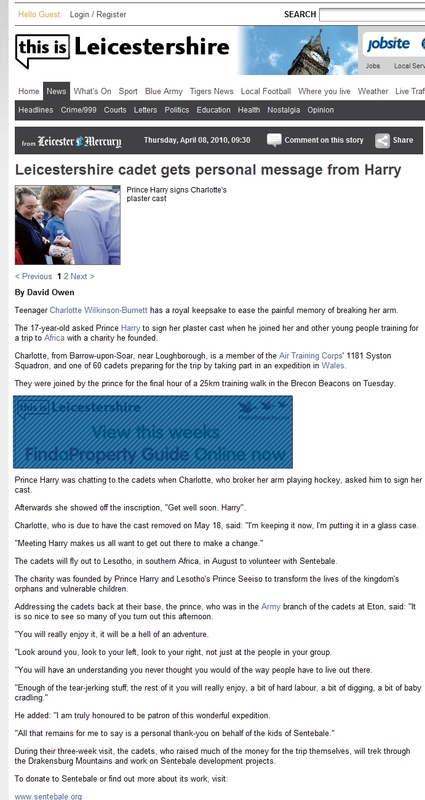 We also revealed how the Prince signed a plaster cast forCharlotte Wilkinson-Burnett, 17, after she broke her wrist playing hockey. The Prince wrote, ”Get well soon, Harry”. It would be an understatement to say that we were proud to have been involved in such a high-profile event. The results of this PR campaign were exceptional, and we were thoroughly delighted to have been involved.